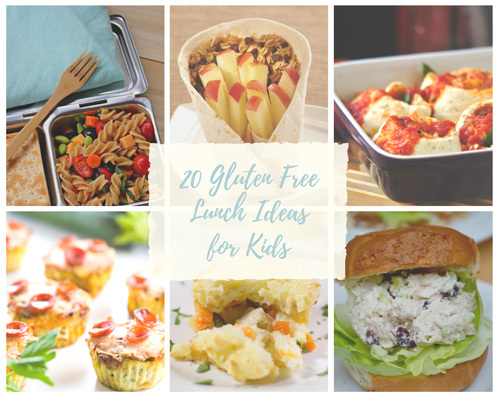 A round up of 20 gluten free lunch recipes that kids will love just in time for back to school. Special thanks to the 12 food bloggers who contributed delicious recipes. 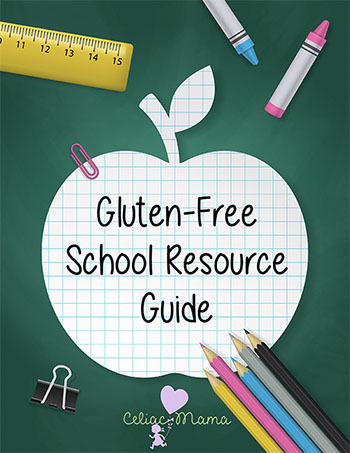 Back to school means back to packing school lunches if your child is on a strict gluten free diet and the school is unable to provide a safe lunch. 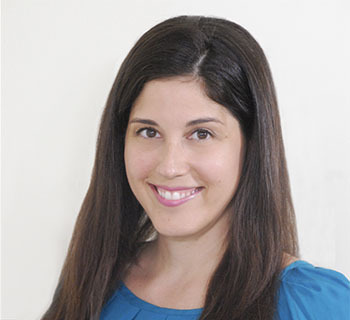 I don’t know about you, but I find that the first month of school I am full of energy and awesome ideas for gluten free lunch recipes to make creative meals and then I start to hit a lull. My creativity slows down and I need inspiration from others to keep my momentum going. Can anyone relate? 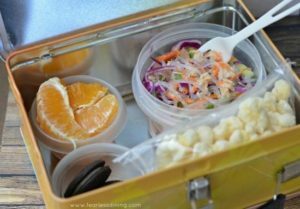 Hopefully your lunch making mojo will never experience burnout, but if it does here are some amazing recipes that will help you rock your kids lunch box! 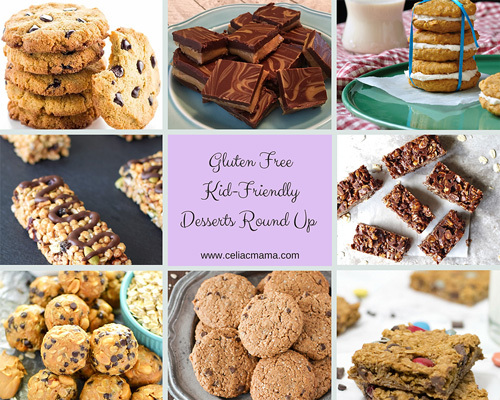 All of them are gluten free (of course! ), many are dairy free, and some are vegetarian or top 8 allergen free so that there’s something delicious for every family. Ok, I’ll stop writing now and get to these droolworthy lunch box ideas. 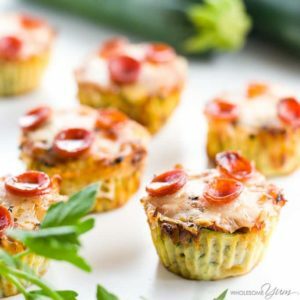 This low carb baked zucchini pizza bites recipe is so easy to make. They are perfectly portable healthy snacks that will really stand out in your child’s lunchbox. Plus, you can make them ahead and grab them and go when you need them, which is always a plus! 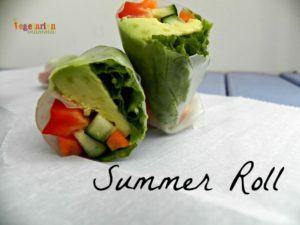 Whether you call it a Summer Roll or a Spring Roll, this makes a perfect lunch any time of year. They’re full of nutritious vegetables, and the colors and freshness will brighten up any lunch box. Plus, the gluten free and dairy free recipe includes a video to help you with the rolling part. I love this idea for chicken salad! 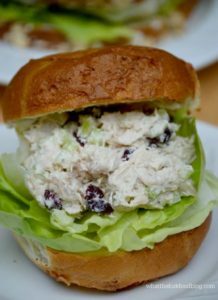 Adding cherry craisins lends the perfect amount of sweet and tart to an otherwise traditional savory chicken salad. With only 7 gluten free and dairy free ingredients, they’re simple to make and you can mix it up by serving it as a delicious sandwich, lettuce wrap or salad topping! 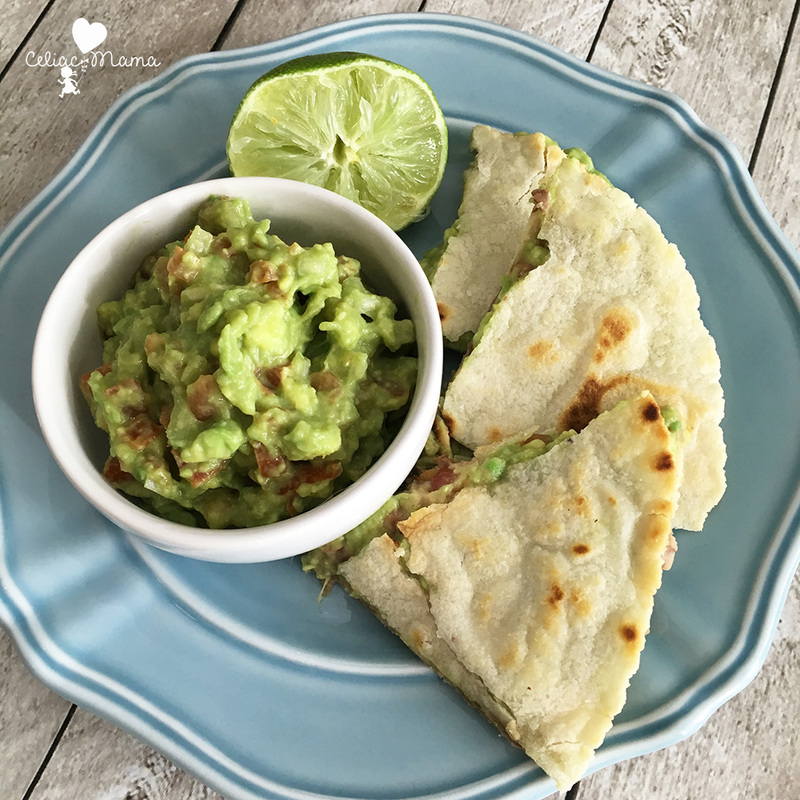 These no cheese quesadillas are simple to make and super delicious. They’re packed with protein and superfoods from guacamole and refried beans. 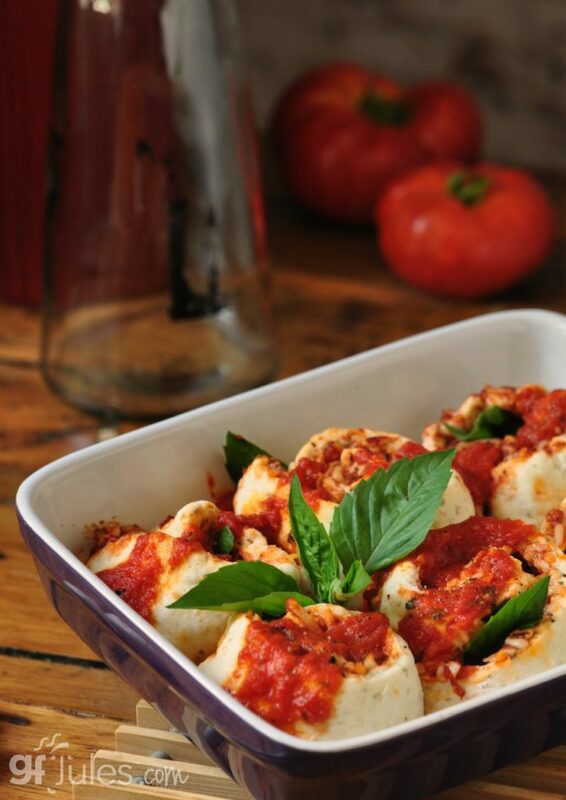 They can be served hot or cold, making them perfect for a lunch box! The recipe is gluten free, dairy free, vegan and paleo diet friendly. 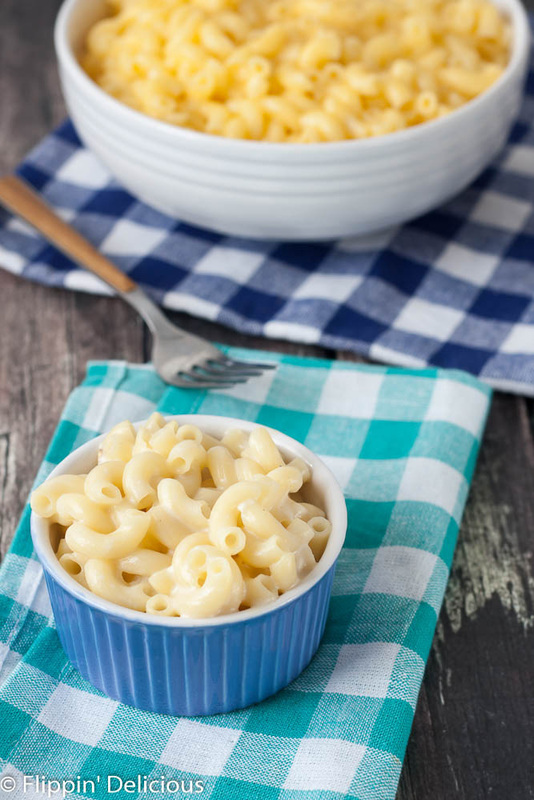 This gluten free twist on a kid’s classic and beloved dish contains only five ingredients and is a lunch box hit! It’s perfect for busy days because it only takes 15 minutes to prepare and leaves just one pot for clean up. Amazing! 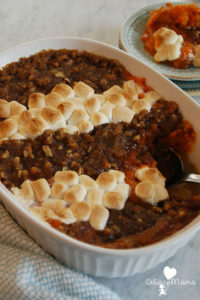 The recipe also includes instructions to make the dish dairy free, for those avoiding dairy. Isn’t this just the most adorable snack ever? 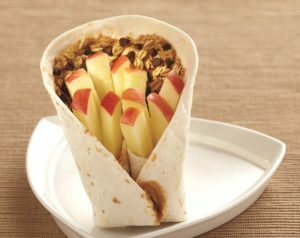 I’d heard of dipping apple fries in peanut butter, but crafting them into this healthy little package is too much fun. 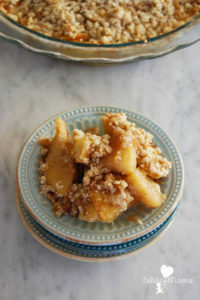 This apple fries recipe is perfect for lunch boxes and a big hit for fall. Full of healthy and fun ingredients, just make sure you choose certified gluten free oats and your favorite gluten free tortillas. Pizza rolls are such a fun twist on traditional pizza! There are so many pizza days at school these days, and this recipe would be a hit in your child’s lunch box on pizza day for sure. Plus, you can mix it up by changing up your favorite pizza fillings every time you make it! 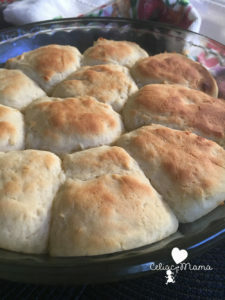 The recipe is gluten free and includes dairy free options. Kids love noodles and this tuna salad looks like so much fun to eat! It’s high in protein plus it’s gluten free, nut free, dairy free, soy free, and egg free making it safe for many children with food allergies. The recipe includes gluten free recommendations for sauces too! How cute are these muffins? 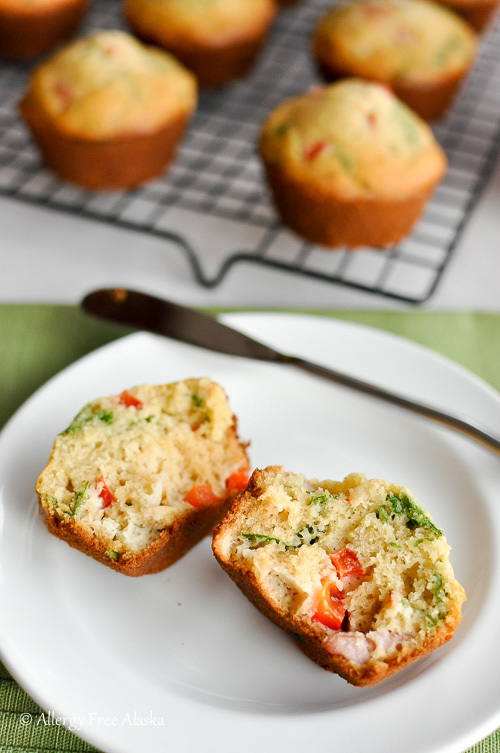 I love the idea of making a whole meal into a muffin and these look incredible! The recipe is great for making ahead as it freezes well, and dairy free substitutions are included for those on a dairy free diet. 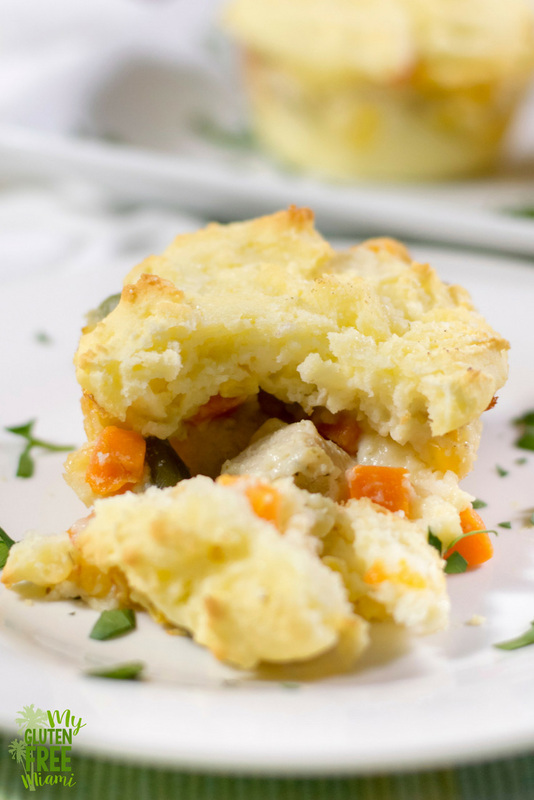 They’re a fun twist on a classic comfort food. 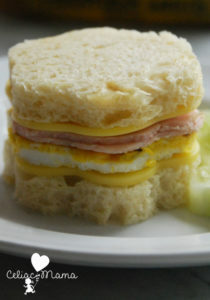 They may be called breakfast muffins, but I think they are perfect for lunch boxes too! These veggie-packed muffins have a nice balance of salty and sweet flavors from the sweet cornbread-like taste of the millet flour and the savory ham that kids will enjoy. The recipe is gluten free and dairy free. Kids go crazy over this healthy “dessert”! It contains 2 ingredients (yes, only 2 ingredients!) and it’s high in protein, low in sugar and really simple to make. 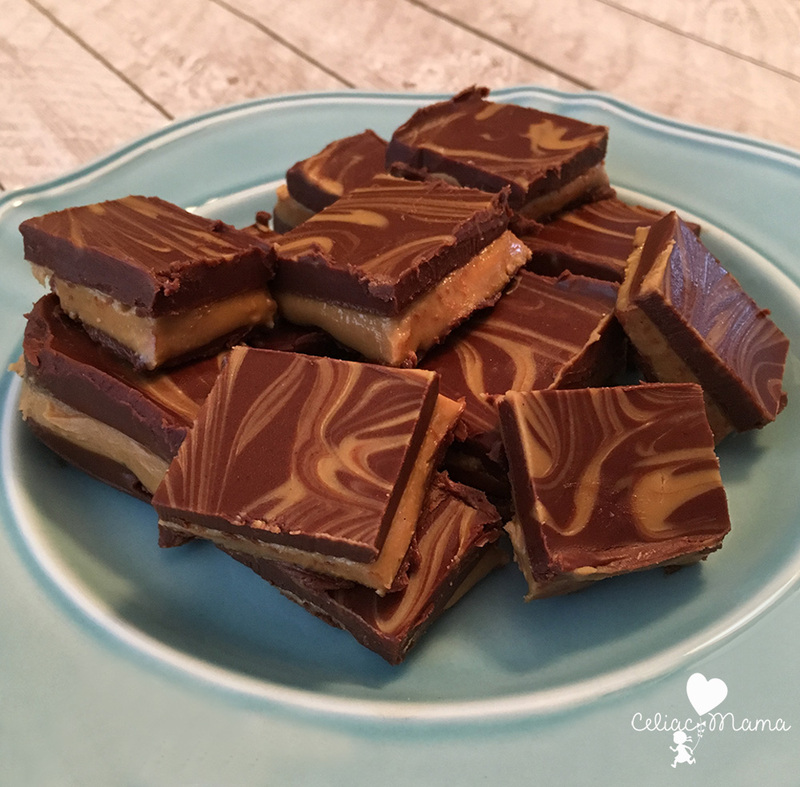 The fudge is made entirely of chocolate and regular almond butter and it tastes amazing! Perfect for lunch boxes, snacks or dessert. 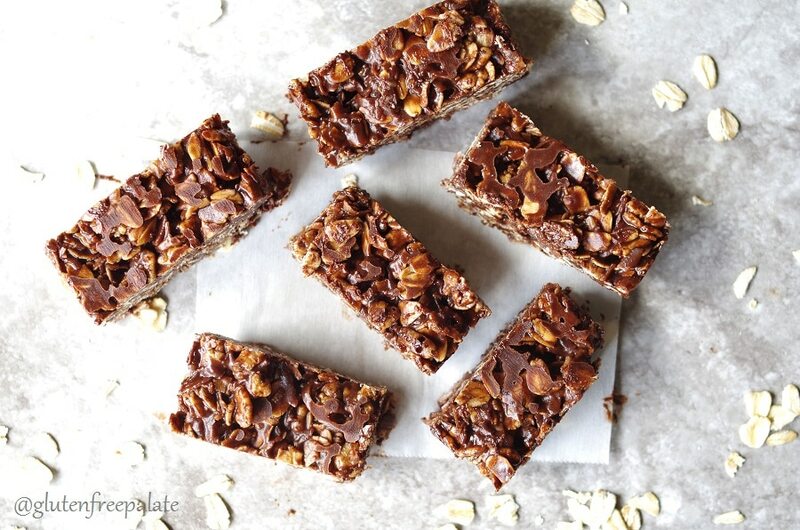 Be still my heart, a homemade cereal bar that doesn’t crumble? Yes, please! 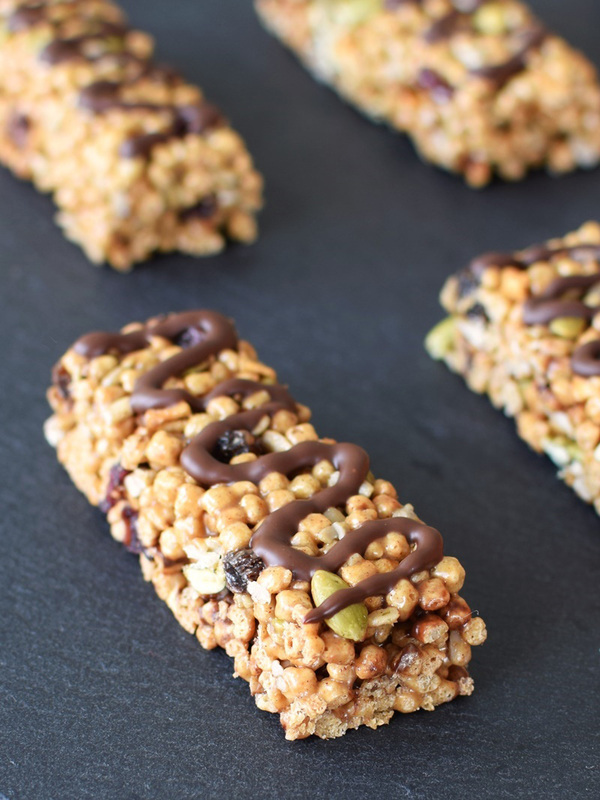 These trail mix cereal bars are allergy-friendly (naturally free of top allergens), kid-friendly, adult-friendly, gluten-free-friendly, vegan-friendly, and just plain perfect for sharing with schoolmates. Plus, you can prep them in 15 minutes and they only cook for 5! Boy can I relate to wanting to satisfy my kids sugar craving without the sugar crash that follows, and these cookies are just what you need. 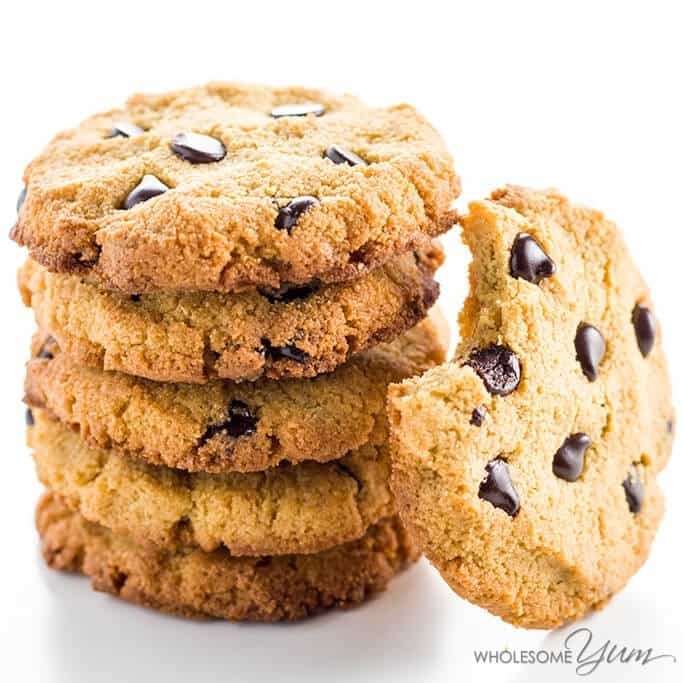 These chocolate chip cookies are gluten free and dairy free, and wait for it…sugar free! Pack them in your child’s lunch box guilt free! A dessert that tastes like a candy bar, but with much healthier ingredients? Yes, please! These chocolate coconut squares are simple to make and since they’re no-bake you don’t even need to turn on the oven. The recipe is gluten free, dairy free and egg free. 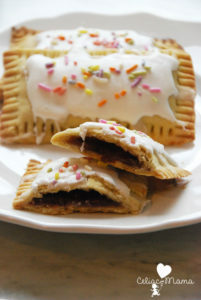 Surprise your kids with this fun treat in their lunch box! This gluten free, dairy free, vegan version of the old favorite even smells like what you remember. Bake these off, frost and sandwich them together, then take a big, delicious whiff of that heavenly scent. Mmmmmmmm. It takes me back, that’s for sure! 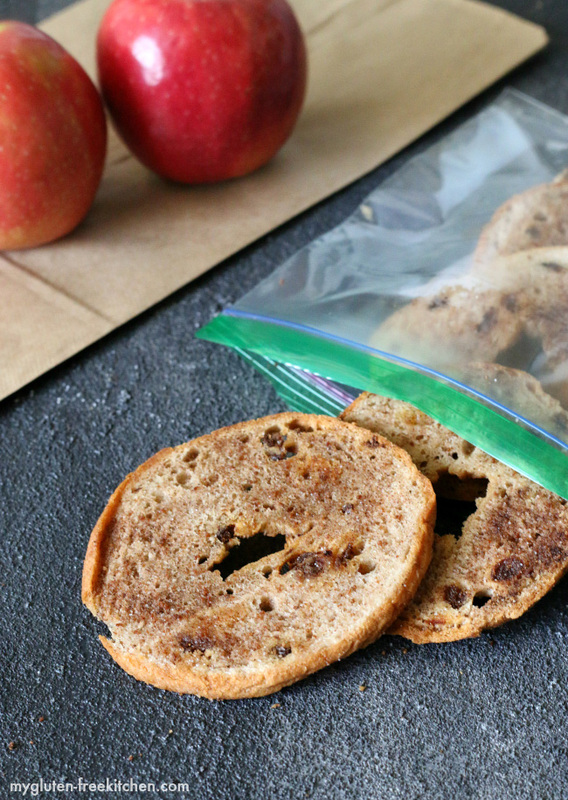 These gluten-free cinnamon raisin bagel chips fit perfectly in lunches or backpacks for a mid day snack. Made from a delicious combination of sweet and salty ingredients to satisfy any craving, they are simple to make and only require 6 ingredients. 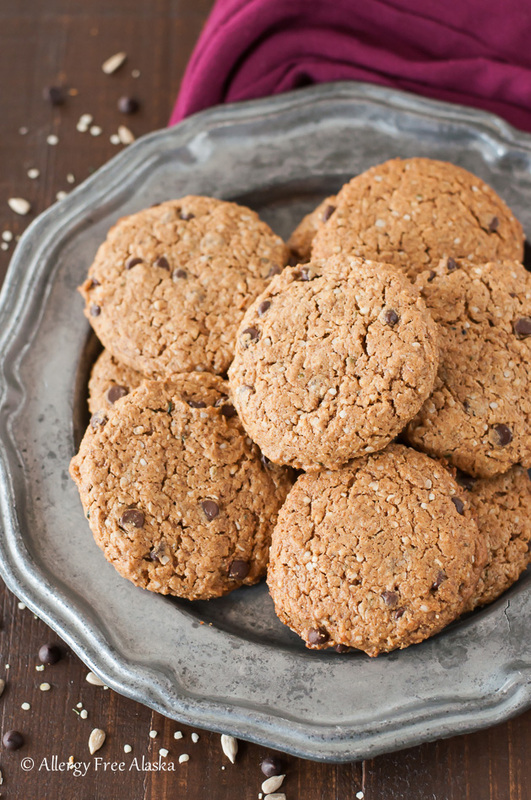 Plus, the recipe is also peanut free, nut-free, soy-free, and dairy-free, making it safe for most classrooms! 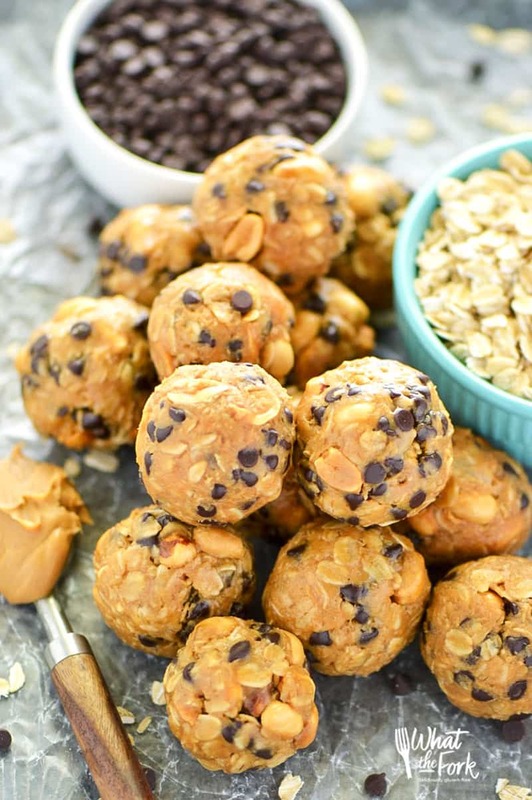 These Protein Packed Monster Breakfast Cookies are grain free, nut free, egg free, and dairy free if you use dairy free chocolate chips! They get their protein from SunButter, coconut, flax and hemp seeds. 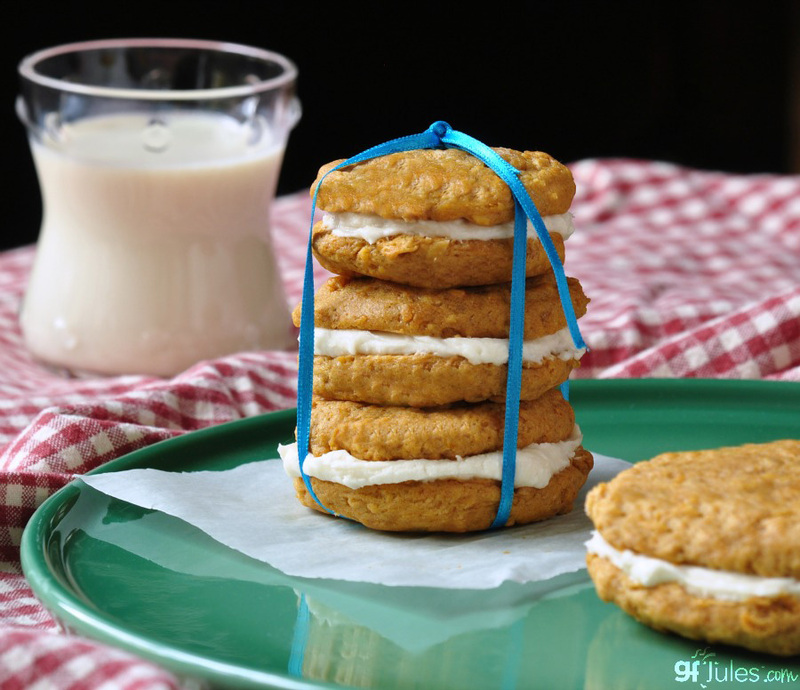 Crisp on the outside, and chewy on the inside these cookies make a great kid-approved breakfast or lunch box treat! No bake treats are perfect for busy mornings, and let’s be honest anything we can do to beat the morning rush is a major plus! 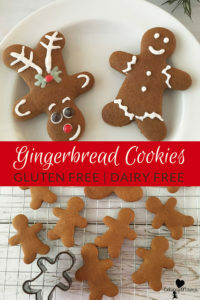 This gluten free and dairy free recipe is straight from The Easy Gluten Free Cookbook by Lindsay of Veggie Balance. Whether you eat them for breakfast or pack them for healthy treats in your child’s lunch box, you’ll be happy with how much your kids enjoy them and how simple they are to make. 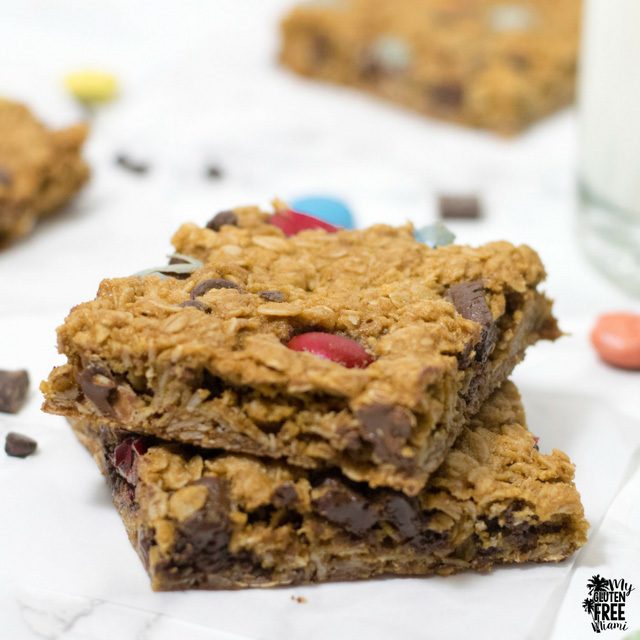 These Monster Cookie Bars are gluten free and free of the top 8 allergens, plus they’re packed with healthier ingredients like oats, but you don’t have to tell your child that as you watch them devour this chocolatey treat! I hope these recipes give you inspiration to keep making amazing lunches for your kids at school! 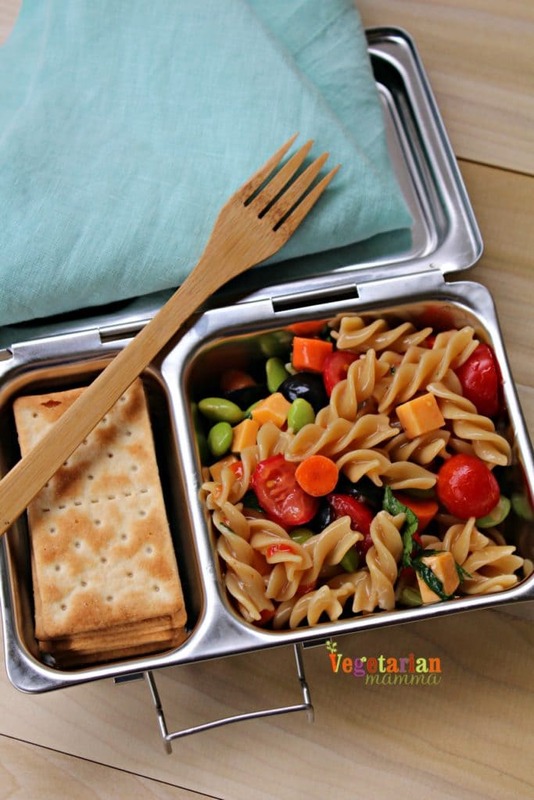 What do you pack for school lunch? Please share in the comments below so we can all help each other keep the lunch boxes interesting and nutritious for our kids. Thank you!